Site Selection Executive Vice President Ron Starner already is our resident Florida expert. But even he had his eyes opened during a recent tour along the Gulf Coast. First Minister Nicola Sturgeon talks to us about the dangers of leaving the EU and the continuing allure of Scotland for global firms and talent. 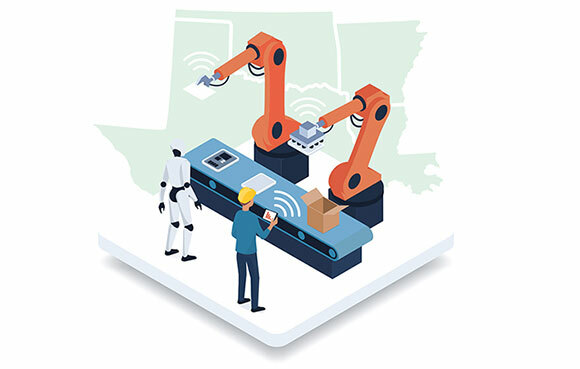 What manufacturing experts in Arkansas, Louisiana, Oklahoma and Texas want you to know. The Manufacturing Extension Partnership (MEP) whose leaders' valuable insights are found in the four states cited above is a public-private partnership headquartered within the U.S. Department of Commerce's National Institute of Standards and Technology in Gaithersburg, Maryland. The MEP has Centers in all 50 states and Puerto Rico dedicated to serving small and medium-sized manufacturers. 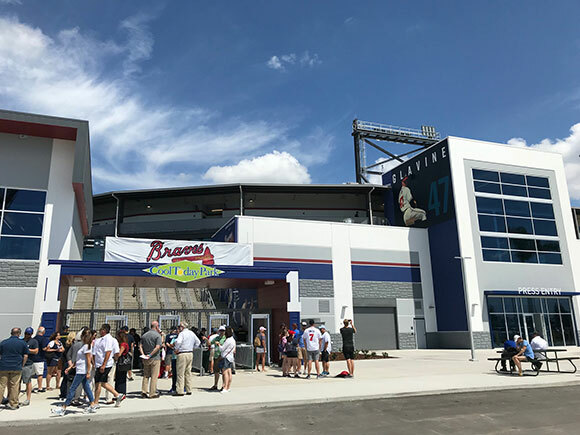 Last year, MEP Centers interacted with 27,707 manufacturers, leading to $16 billion in sales, $1.7 billion in cost savings and $4 billion in new client investments, and helped create or retain more than 122,000 jobs. Over the past several years Conway Analytics has tracked more than 100 corporate facility projects in Scotland. They include investments in recent months by Liberty House ($156 million and 400 jobs in Fort William); Attollo Offshore in Aberdeen; and Beatnik Studio, Amazon and others in Edinburgh. 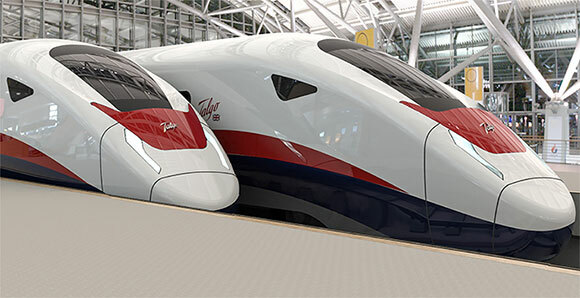 Among other recent investors is Spanish railcar maker Talgo, whose multi-location investments recently profiled by Site Selection were just confirmed this week by Talgo leaders as not dependent on whether Talgo gets a lucrative contract for the UK's forthcoming HS2 rail system expansion. In December 2017, Conway Analytics delivered a Lead Signal which announced that two French aerospace suppliers were merging. 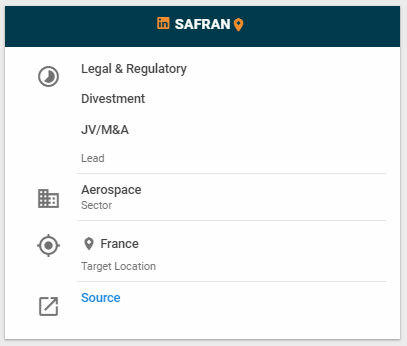 Safran and Zodiac agreed to merger as part of an $8 billion bid by Safran to create a world-class aerospace supplier and position for growth in the future. 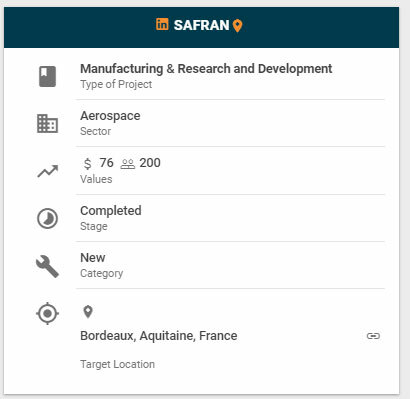 In March 2019, Safran announced the opening of new $76 million 3D printing facility in Bordeaux, France. The new operation will create 200 new jobs in engineering, production and R&D. The additive manufacturing plant will produce various parts for Airbus planes. 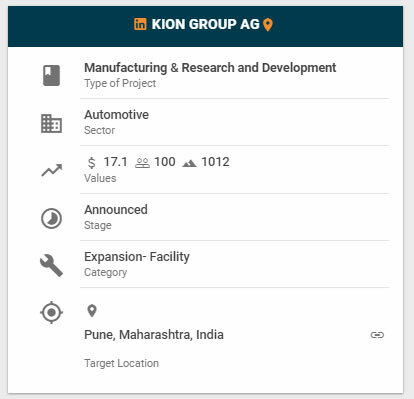 The KION Group is expanding its production site in Pune, India by adding over 1 million sq. ft. to create a new industrial truck production operation. The new plant will be completed in early 2020 and create 100 new jobs. In addition to manufacturing, the site will include R&D and a training center for service personnel. The KION Group is a global leader in industrial trucks and is headquartered in Frankfurt, Germany. 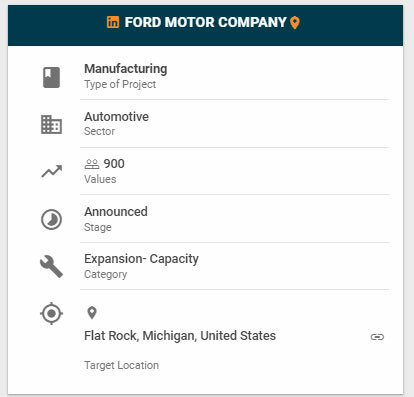 Ford recently announced an investment of $850 million into its Flat Rock Assembly plant in Flat Rock, Michigan. The new investment will create 900 new jobs at the site, which will focus on electric vehicles, and production of the next generation Mustang. Ford continues to ramp up its production of electric vehicles. The Outsource to the Caribbean Conference 2019 (OCC 2019) is a pan-Caribbean outsourcing event for industry players in the business process outsourcing (BPO) sector. The Conference will bring together over 300 industry leaders from the public and private sector in the Caribbean as well as investors looking for outsourcing services opportunities and are considering investing in the Caribbean’s BPO. 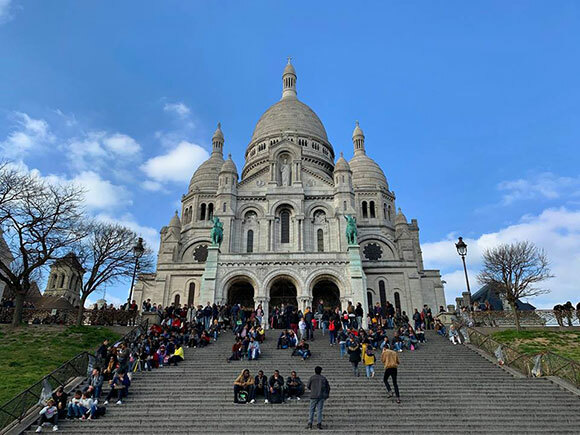 Conway President and Site Selection Publisher Adam Jones-Kelley made this photo last month of the Basilica of Sacré-Coeur in Paris, constructed in the late 1800s. Its location, Montmartre, has been a place of worship going back to the Druids of ancient Gaul, and the Romans with their temples dedicated to Mars and Mercury.